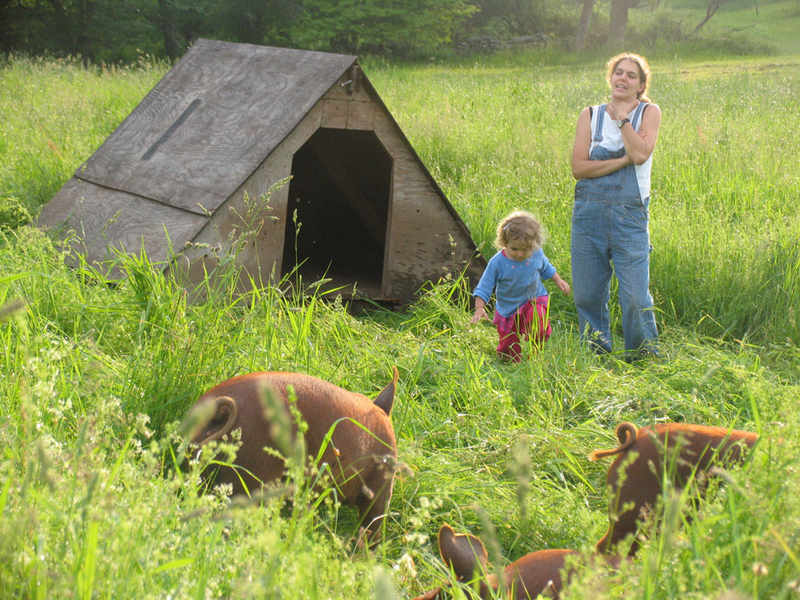 We raise certified organic Tamworth piglets born at two local farms. They arrive at 8 weeks of age and they live the rest of their life out on our clean pasture. 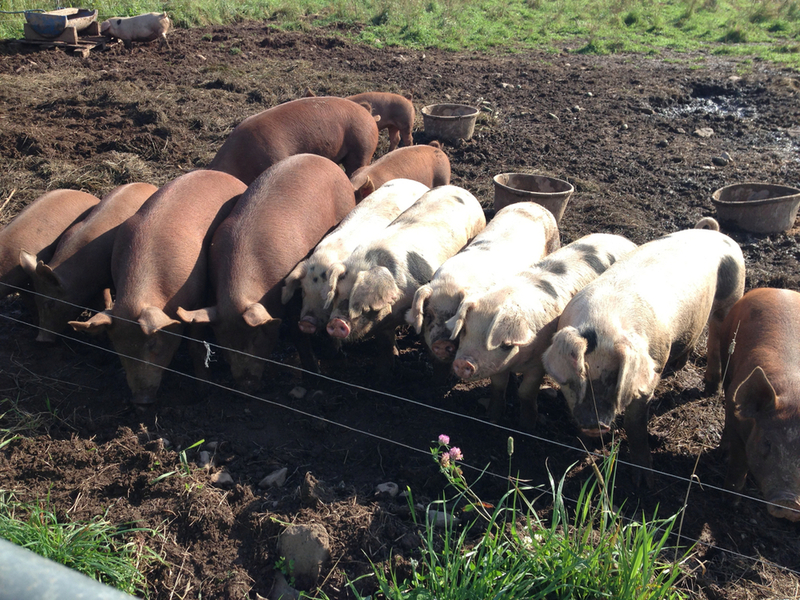 We feed them a certified organic grain blend from a NY farm and rotate their pasture area 3 to 5 times during the season - they love the grasses, roots, grubs, and worms they find. The characteristics of the Tamworth reflect the breed’s centuries of selection for an outdoor life. 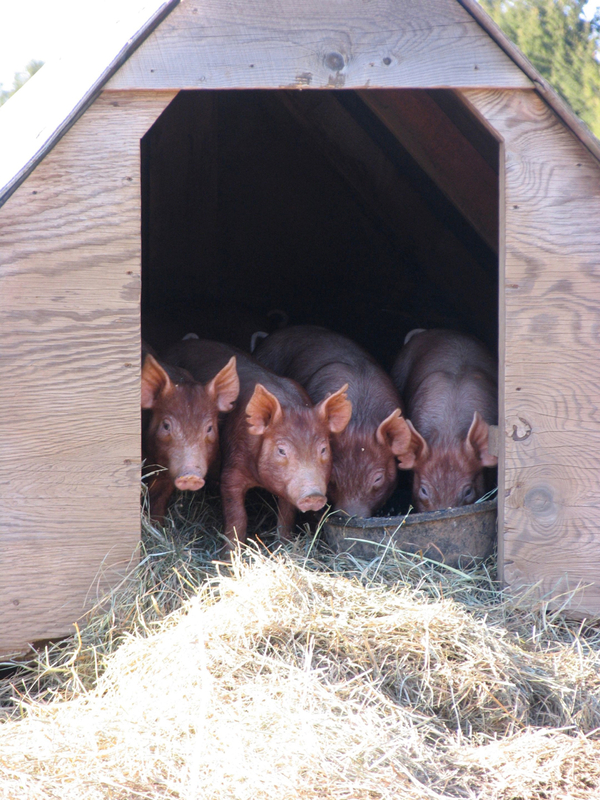 Pigs of this breed were expected to find their own food, especially mast (or acorns) of oak and beech forests. 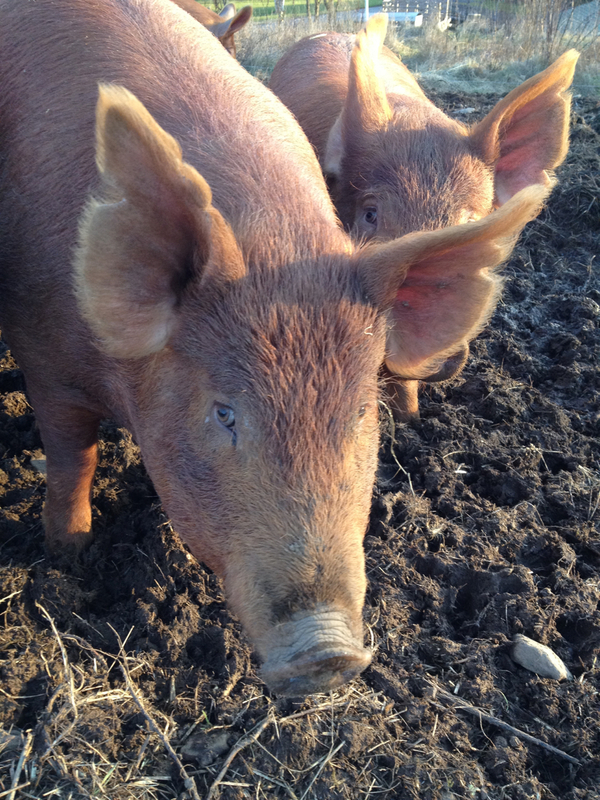 Long heads and impressive snouts enable our pigs to be efficient foragers. 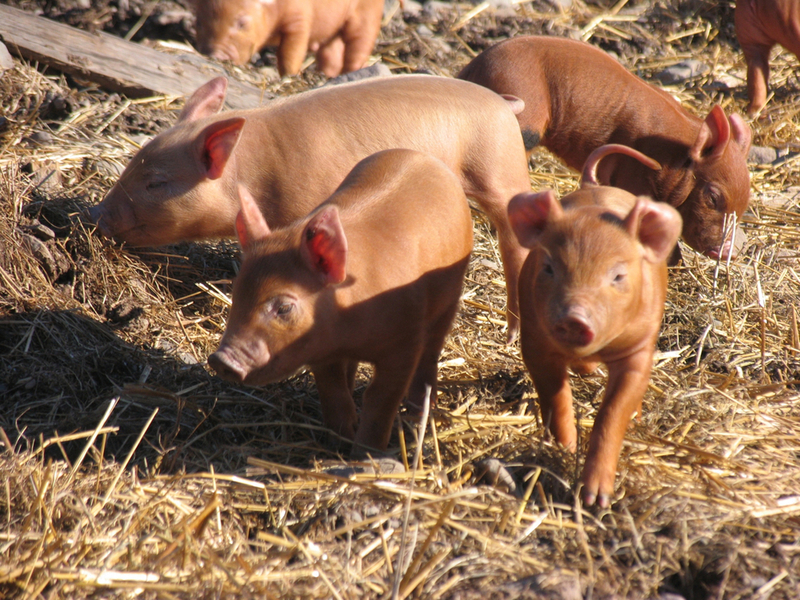 Long, strong legs and sound feet give Tamworth pigs the ability to walk for considerable distances. Ginger red coats make them adaptable to a variety of climates and protect them from sunburn. Tamworths have an active intelligence and they are very friendly. Our pork is more than good for you, it’s DELICIOUS! All of our sausages are made with organic herbs and spices. There is no MSG. And all of the smoking is done naturally without the addition of nitrates. Don't forget the bacon!